SYNTIVIA analyses nail polish using surface characterization based on Atomic Force Microscopy (AFM). Atomic Force Microscopes provide topography data (such as perceived roughness) and measure the nanomechanical properties of a surface (elasticity, stiffness, adherence). A nail polish containing a new active ingredient has been compared to a nail polish without the ingredient. 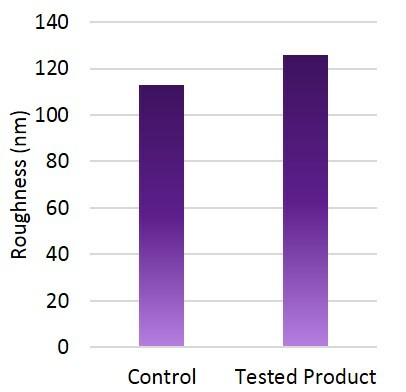 The AFM analysis allowed to measure and illustrate that the ingredient improved elasticity without affecting the roughness. Nail polish containing a new active ingredient was compared to nail polish without the ingredient and applied on a glass slide to be analyzed by Syntivia’s Atomic Force Microscope (Brucker Catalyst). 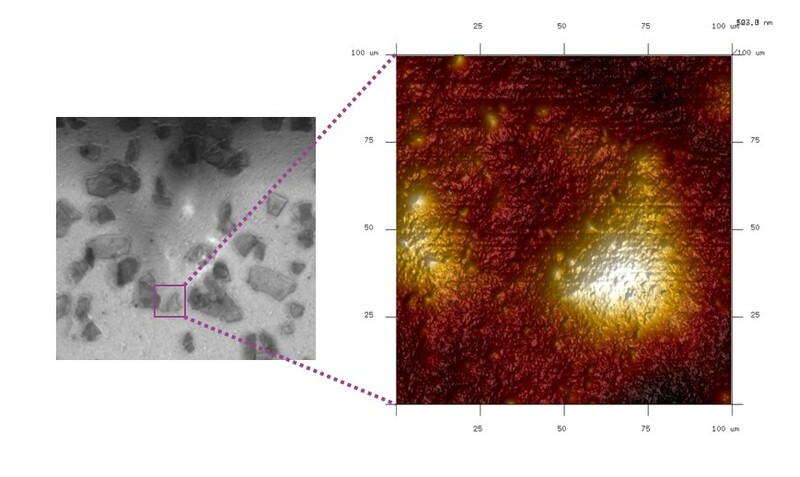 Observation of the nail polish surface with the optical microscope in brightfield on the left. Representation of the height detected with our AFM on the right. on an area of 0.01mm². The active ingredient in the nail polish accounts for better elasticity and consequently improves nail polish adherence and resistance to shocks. Nail polish analysis is only one application for our Atomic Force Microscope. We also use this high-end tool for analysis on hair products.